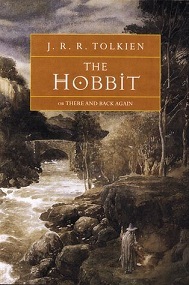 Book Name: "There and Back Again": Tolkien and the toil to write "The Lord of the Rings"
These were the opening lines of “The Hobbit.” The publication of this book in 1937 would make John Ronald Reuel Tolkien famous. But it did not start out that way. The story was first told in oral form by Tolkien to his sons, probably around 1930, when his eldest son, Tolkien was about 13 years old. 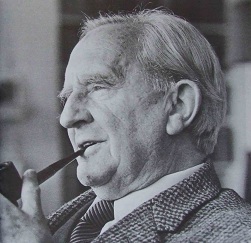 At that time, Tolkien was only a professor of philology at Oxford. He studied ancient languages. As these early languages survived in the form of mythologies, he had to read the myths. He became so immersed in mythologies that when he started to write fiction, it became inevitable that he had to create his own mythologies to support his fictional world. In doing so, he found fulfilment in a life that began with sadness. How did a professor of philology come to write fiction? John Ronald Reuel Tolkien was born on 3 January 1892 to Arthur Reuel Tolkien, a bank manager and Mabel Suffield. His mother had left Birmingham in March 1891 to marry Arthur in Bloemfontein, South Africa. On 17 February, 1894, another son, Hilary Arthur Reuel, was born. But the hot, dry weather was detrimental to Tolkien’s health which continued to deteriorate. In April 1895, Mabel left South Africa abroad the SS Guelph bound for Birmingham with her two sons. It was hoped that the colder climate would help the elder son to recover. His father worked for the Bank of Africa, which was considered an uitlander or an outsider. The rival was the National Bank which was native to the Orange Free State. His father decided that he had to stay behind to tend to the bank’s business. If he had joined his family, he could only draw half pay and he already had to pay for their passage back. In November 1895, news came that his father had rheumatic fever. By January 1896, he still had not recovered. Mabel decided that she had to return to Bloemfontein to look after him. Tolkien asked his nurse to write a letter to his father, dated 14 February 1896. Sadly, the letter was never posted. A telegram arrived saying that his father had suffered a severe haemorrhage. The next day, 15 February 1896, he was dead at age 39. After the initial shock was over, Mabel took stock of the situation. She could not stay indefinitely in her parents’ crowded house. Yet she did not have sufficient income to stay outside independently. By the summer of 1896, they shifted from Birmingham to Sarehole, a hamlet about a mile south of the city. The effect of this move on Tolkien would be deep and long lasting. He was then in the formative age of five years old. He found himself exposed to the open English countryside just when he was beginning to use his imagination. They would stay there for four blissful years. Mabel knew French, German and Latin. She could also draw, paint and play the piano. She began to teach her sons. Tolkien was delighted to learn the sounds and shapes of the words in Latin. He was also taught French but he did not find this language as pleasing as Latin and English. He was introduced to the piano but he did not like music. He seemed to find the sounds of words more pleasing than musical notes. In June 1900, Mabel followed her sister, May Incledon, to become a Catholic. This move enraged her family members. Their father, John Suffield, was a Methodist. May’s husband, Walter Incledon, was an Anglican. He had previously given some financial assistance to Mabel but now he refused to assist anymore. In September 1900, Tolkien passed the entrance examination to King Edward’s school on the second attempt. A Tolkien uncle helped Mabel to pay the annual fees of 12 Sterling Pounds per annum. Mabel shifted to a house in Moseley to be nearer to the school. But the house was soon demolished and they shifted again to a house near King Heath’s Station. At the back of the house was a grass slope on top of which lay the railway line. Here Tolkien discovered flowers and plants. The railway coal trucks bore strange sounding Welsh names which delighted him. In the New Year of 1904, both boys developed measles. Tolkien had whooping cough and Hilary had pneumonia. The strain of nursing them took a toll on Mabel. In April 1904, she was hospitalised with diabetes. The boys were sent away, Hilary to live with his Suffield grandparents and Tolkien to stay with his aunt, Jane Suffield and her husband, Edwin Neave. In the summer, Mabel was discharged. At the recommendation of Father Francis Morgan, they rented rooms in a cottage at Rednal. The cottage belonged to the local postman and his wife could cook for them. Tolkien was happy. It was as if they had come back to Sarehole. But Mabel’s condition began to worsen. In early November, she slipped into a coma. On 14 November 1904, she died at the age of 34. In her will, she appointed Father Francis to be the guardian of her sons. It proved to be a good choice. He had some private income from the family’s sherry business so he could provide for them. He would display affection and generosity towards his wards. In 1905, he found lodging for them with their aunt, Beatrice Suffield, in Edgbaston. She was widowed, childless and poor. Unfortunately, she was also lacking in affection. One day Tolkien came into her kitchen and saw a pile of ashes. Beatrice had burnt his mother’s letters. It never occurred to her that he might want to keep them. Tolkien was born on a 甲Yang Wood day in the winter month of 丑Ox. The water in winter produces wood so his wood is considered strong even though it is not born in season. His 丑Ox month has a harm relationship with his 午Horse day master. The month pillar represents, among other things, the parents. It is possible that at least one of his parents may fall seriously ill or even die. Which is the more likely parent –the father or the mother? His mother is represented by water and his father is represented by earth. He was born in the winter month when water is at peak strength. So the danger will probably not affect the mother so much. In theory, earth controls water. But this earth is weak. The water is strongest in winter. There is plentiful metal found in his 丑Ox month, his戌Dog hour and in the Heavenly Stem above his 卯Rabbit year. The metal may be weak in winter but too much metal exhausts the earth. To make matters worse, his strong wood controls the earth that is already weak. Fire is needed to produce earth but the fire is weakest in winter. The end result is that his earth element is extremely weak. It is possible that his father may become sick or even die. His father died in February 1896 when he was only 2 years old. This was the month of 庚Yang Metal 寅Tiger in the year of 丙Yang Fire申Monkey. The wood is strong in the 寅Tiger month. The metal is strong in the 申Monkey year. The wood clashed with the metal. The earth which represents his father is already weak in his birth chart. The wood controlled his earth. The metal exhausted his earth. As if that was not enough, there was a clash between 寅Tiger month and 申Monkey year. This is a clash brought about by the wood and the metal. The danger to his father’s health is very great. In 1904, his mother died when he was 12 years old. This was the year of 庚Yang Metal 辰Dragon. The strong wood in this year exhausted the water. The water represented the mother. Water is said to be in graveyard when it meets the 辰Dragon. The 辰Dragon also has a destruction relationship with his 丑Ox month of birth which represented the parents. It was possible that his mother might get sick. The month of November 1904 was the 甲Yang Wood 戌Dog month. There was a clash between the 戌Dog month and the 辰Dragon year. This is a clash between fire and water. The mother’s health was so seriously affected that she did not survive the critical period.